Basements are imperfect concrete structures built in soils that vary from region to region. Water in the soil leaking into basements is a problem that has troubled homeowners for more than 100 years. This water will leak into the basement through the walls, floors, and joints between them. 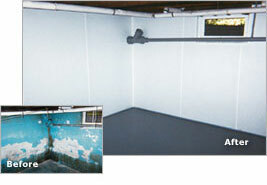 Let one of our basement waterproofing experts come and give you a Free Estimate on permanently fixing your basement. We have been turning wet, damp basements into dry basements in neighborhoods like yours for over for many years. There is not a problem we don't have a solution for! 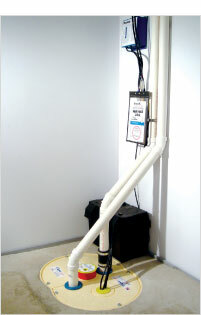 Our company's wet basement repair products have been developed and perfected by Basement Systems, Inc. since 1987. Our basement waterproofing specialists proudly provide certified basement waterproofing solutions by licensed professionals at an affordable price to Olympia, Silverdale, Bremerton, Port Angeles, Bainbridge Island, Aberdeen, Centralia, Rochester, Poulsbo, Port Orchard, Belfair, Shelton, Port Townsend, Kingston, Gig Harbor, Hoquiam, Chehalis, and surrounding Greater Olympia areas. developed & perfected by Basement Systems, Inc since 1987. Meet with one of our company's basement flooding wet basement repair contractors, and we'll show you how we can customize your waterproofing solution to keep the basement dry all the time! 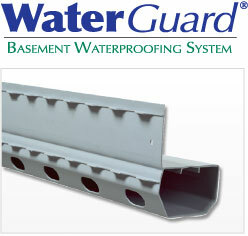 WaterGuard® is a piping system (interior subfloor system) engineered specifically to solve basement water problems effectively without worry of clogging from soils under the floor. It has large holes in the back to accept water and a flange with special segments. 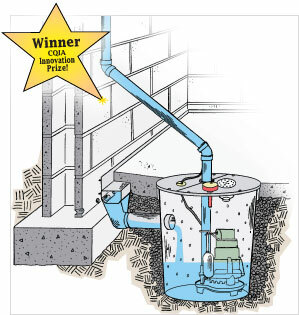 The non-clogging WaterGuard® System, together with a TripleSafe Sump Pump System, offer complete protection from a wet basement. If your basement floor cannot be jackhammered, as is the case with a monolithic floor where the floor and foundation footing are one piece, DryTrak® may be the best answer for your home. As a system that installs on top of the basement floor as a baseboard drain, it can collect water and direct it to your sump pump with no need for the floor's perimeter to be jackhammered. Our CleanSpace Northwest's trained and high experienced basement flooding and damp basement repair professionals offer free, no cost or obligation estimates on basement seepage and other basement water repair in Silverdale, Bremerton, Olympia, Port Angeles, Bainbridge Island, Aberdeen, Centralia, Rochester, Poulsbo, Port Orchard, Port Townsend, Shelton, Belfair, Gig Harbor, Hoquiam, Chehalis, Kingston and the surrounding Washington area. This involves digging out the entire perimeter of the basement, installing a new drain, and possibly adding a waterproof coating on the walls. This type of installation has been used for many decades—a drain of this type is generally installed when the home is built. Installs underneath the basement floor, with a drain that runs along the basement walls. Collects water and sends it to a sump pump system. 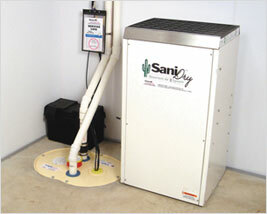 The system is easy to service, and it can collect water leaking from the walls or windows as well. Installs on top of the basement floor with a drain that runs along the basement walls. Collects water and sends it to a sump pump system. No jackhammering is required, and the installation is safe for a monolithic basement floor. This involves "painting" the basement walls and floors with a waterproof coating of cement that's meant to seal out the moisture. It applies directly to the concrete's surface with a brush or roller and is often applied when a homeowner is preparing for basement finishing.